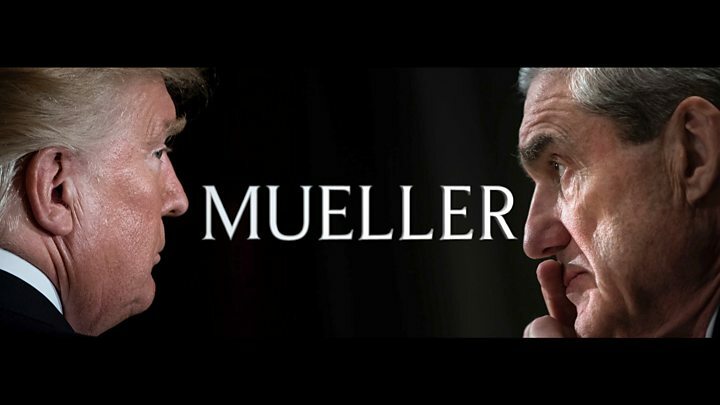 US congressional leaders are awaiting conclusions from Special Counsel Robert Mueller’s report into alleged collusion between the Trump campaign and Russia, with early findings expected Sunday. The long-awaited report was submitted on Friday to Attorney General William Barr, who spent Saturday at the justice department poring over the document. A justice department official said it did not call for new charges. In the course of their investigation, Mr Mueller and his team have already charged 34 people – including six former Trump aides and a dozen Russians – as well as three companies. None of those charges directly related to the allegations of collusion between the campaign and Moscow – allegations that President Trump has always denied. Mr Mueller reportedly also examined another question: whether Mr Trump committed obstruction of justice in an effort to curtail an FBI investigation into connections between his campaign and Russians. It is not yet known how much of the report – if any – will be made available to the public. Mr Barr will decide initially how much information to share with Congress. 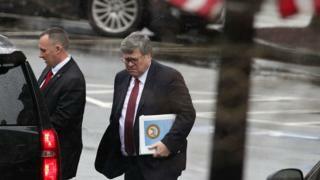 Mr Barr spent nine hours at the justice department on Saturday before leaving at around 19:00 (23:00 GMT), US media reported. The president, meanwhile, travelled to his Florida resort, Mar-a-Lago, where he played a round of golf and ate lunch with the rap-rock artist Kid Rock. 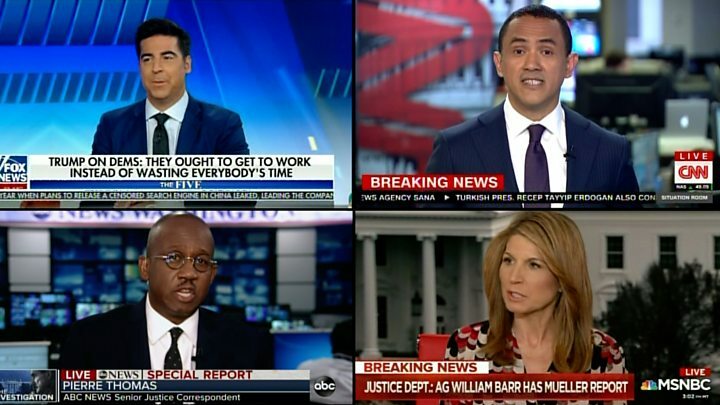 He was uncharacteristically silent on social media – posting no remarks on the news that the Mueller report had been submitted. The president has in the past repeatedly lashed out at the special counsel investigation, branding it a “witch hunt”. Asked about the president’s mood over the weekend, White House spokesman Hogan Gidley replied simply: “He’s good”. Mr Gidley said that the Trump administration had not received a copy of or been briefed on Mr Mueller’s report. Mr Trump’s personal lawyer, Rudy Giuliani, told the Washington Post that the president was in “watch and wait” mode. “We’ve all waited this long. Let’s just await the reading of what’s disclosed,” Mr Giuliani said. Despite all the attention is has received since it was submitted on Friday, the special counsel’s investigation is not the only probe that could threaten Mr Trump’s presidency. About a dozen other investigations are being run independently of Mr Mueller’s office. Legally, the attorney general is under no obligation to release the report publicly, and his copy to Congress could contain redactions, but during his confirmation hearings before senators Mr Barr vowed to release as much as he could. A number of senior Democrats, including presidential hopefuls Beto O’Rourke, Bernie Sanders, Cory Booker, Amy Klobuchar, Kirsten Gillibrand, and Julian Castro, have called for the full release of the report. The House of Representatives, newly controlled by the Democratic party following last year’s mid-term elections, will also continue to investigate the Trump administration and could ask Mr Mueller to testify or instruct Mr Barr to provide relevant materials.